India has inked an agreement with Russia for cooperation in the implementation of smart cities programme in the country. The pact was signed between the Russian delegation and the Urban Development Ministry, National Buildings Construction Corporation and the Haryana government in Goa. 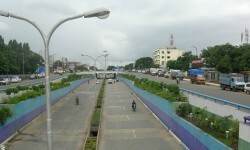 India plans to have 100 smart cities by 2022. Southern state Telangana has claimed a record growth of over 31 per cent in net revenue collections in its stamps and registration department during the first half of current financial year at Rs 1,935 crore. The impressive growth in property transactions comes amid hectic activity in the real estate sector by way of reorganisation of districts and revenue divisions. The Rajasthan government plans to pull down the Rajasthan House, one of its high-valued properties at Chanakyapuri in the national capital, and construct a high-rise. For this, the state has sought permission from the New Delhi Municipal Corporation. The Pimpri-Chinchwad Municipal Corporation (PCMC) in Pune will construct affordable houses for as low as Rs 8.72 lakh per flat for the poor in the city under the Pradhan Mantri Awas Yojana. 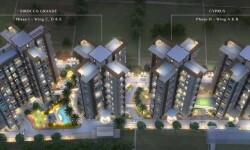 The project, the first under the scheme in the city, is estimated to cost Rs 144 crore. 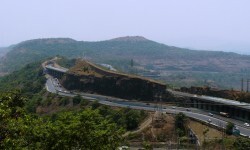 Will Mumbai-Pune BRT Connect Influence Real Estate?